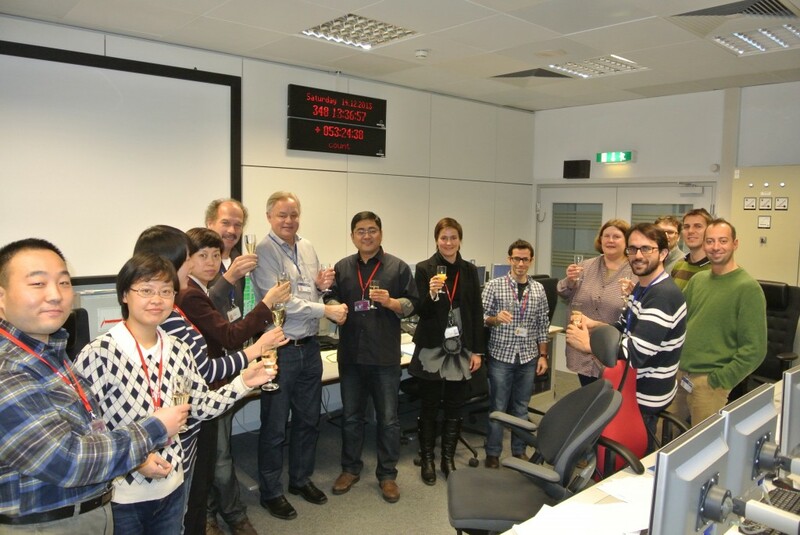 The ESA and CNSA teams at ESOC celebrating today as Chang’E-3 lands on the lunar surface. Signal recording via ESA’s New Norcia and Cebreros deep-space tracking stations will continue until 19:45 UTC, to obtain data that will help pinpoint the lander’s position on the Moon. Well done, team!